Thank you! What you can expect in 2019. As 2018 winds down, we wanted to take a moment to reflect on the past year and to thank our partners, funders, clients, and the Near West neighborhoods for your continued support. Because of you, SOURCE was able to assist over 250 entrepreneurs in the last year. That is more than 250 new and current entrepreneurs who are now better equipped to thrive and grow. These are men and women who are seeking to have an impact on our local economy by creating jobs, keeping profits and tax dollars right here in Indianapolis, and sourcing locally made goods and services into our community. Here at SOURCE, our interests lie in the dreams and possibilities of tomorrow. As much as we enjoy looking back over our accomplishments, we always keep a sharp focus on the future. As we look ahead to 2019, you can expect to see new and exciting programming taking place at SOURCE and throughout Indianapolis. We have learned a lot during our first two years of working with aspiring and current entrepreneurs and all of the knowledge and insights gained have gone into the creation of brand new workshop topics and class series. Self-Discovery – Are you ready for entrepreneurship? Be sure to keep an eye on our newsletter in 2019 as we roll out our new offerings! These programs have come to be out of the growing and diversifying economic landscape of Indy’s Near West side, which could not have been possible without the dedication, determination, and drive of the local entrepreneurs who put their hearts and souls into their businesses day after day. We here at SOURCE are so grateful and proud to walk alongside these hardworking men and women in their journeys, offering support and guidance when asked, and celebrating their wins with them. 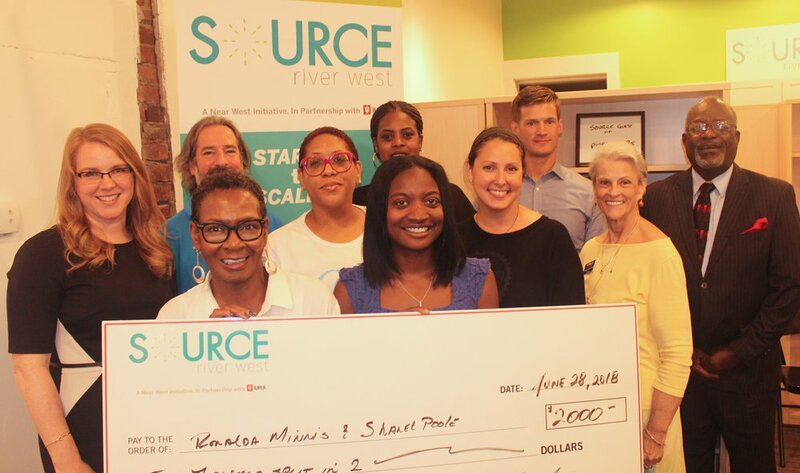 Because of what they have taught us, SOURCE is in a position to expand and bring our programming and services to entrepreneurs located throughout Indianapolis. Big changes are coming. We would like to invite you to join us in 2019 as an entrepreneur, partner, or supporter. Together, we will continue creating an environment and a city where all entrepreneurs can thrive.